Qualifications: i). BE/ B.Tech. or equivalent in Metallurgy/ Materials/ Mechanical Engineering and ME/ M.Tech. in Metallurgy/ Materials/ Mechanical Engineering with first class. ii). GATE qualification. How to Apply: Applications, along with complete bio-data with passport size photograph, copies of supporting documents, publications and experience, should reach the G. V. S. NAGESWARA RAO, Professor, Dept. 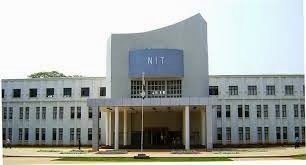 of Metallurgical and Materials Engg., National Institute of Technology, Warangal-506004 (AP).